Photo of a fisherman engraved on a memorial plaque. Now, 37 visitors are online. 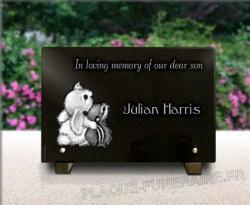 Granite memorial plaque, with engraved photo of a fisherman and text. 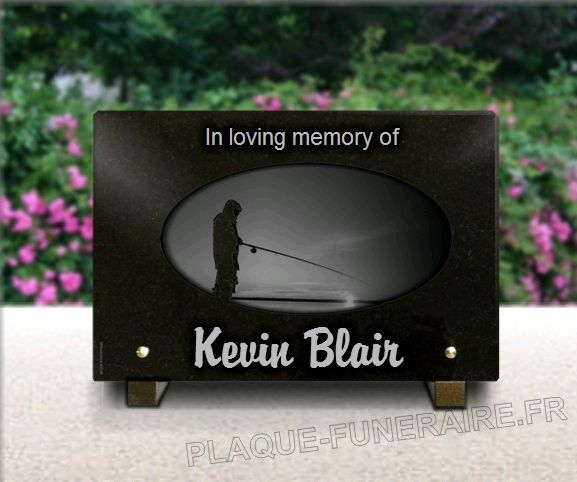 A plaque for burial ground with engraved photo of a fisherman by sunset. 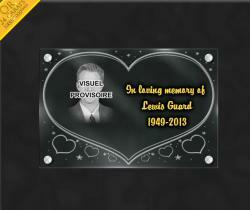 When a friend or a colleague dies, we desire to pay him homage with a personnal plaque. 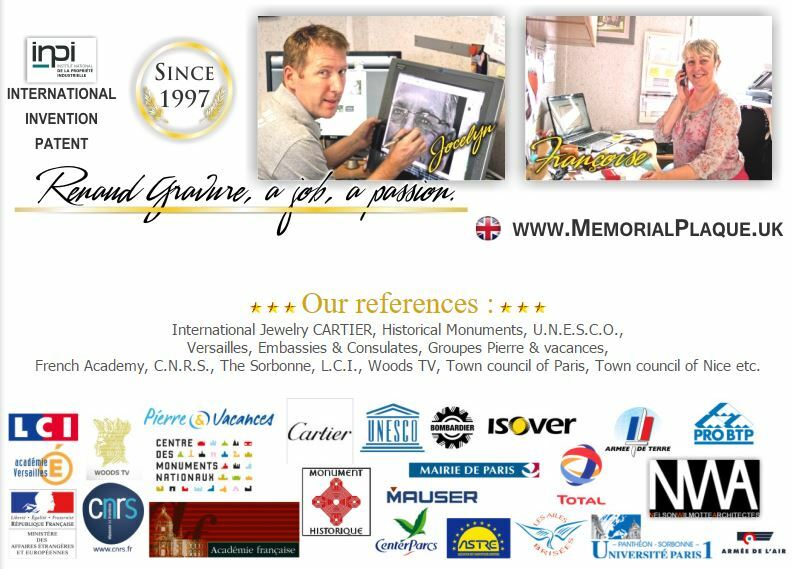 Inserting his hobby is a great way to make this memorial personnal. Here it is a photo of a fisherman, so it is perfectly adequate for a passionate fisher. It is a polished and shiny plaque. The sheen is naturally made, and comes with the polishing. 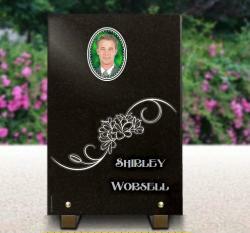 The front and the four sides are polished, and it makes the plaque more beautiful and nice. It is important to let you know, the polish does not make the plaque weaker. It still is a outdoors resistent plaque. There is at the top a sentence "In loving memory of " in straight letters. At the bottom there is the name in a handwriten font " Kevin Blair". It appears between the two scews and very centered. In the middle of the plaque, in an oval shape, there is the photo of a fisherman in backlight. We can see its rod and reel. Off course there is water, it looks like sea or a lake, because there is no banks. The character is on the left, turned to the right. it is a sunset photo, and the sun is on the right, on the water, and it shines on it. The plaque is already good. However, you are free to change it in "plates". Text 1 : "Texts" ; "Create text #1" and follow the instructions in the pop up window. It is the font called "Style 12". Text 2: "Texts" ; "Create text #2". It is the same process, and here the font is " Style 8". For both text, please click on " 3: Size, position, rotation", to modify it and put it how you want. The photo : It is a photo available in the catalogue of drawings. " 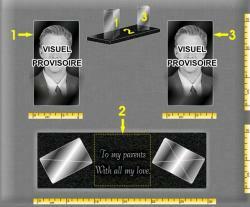 High definition drawings" ; "Create drawing #1". In the menu, look for "Fishing, small boat". The photo is the 5th, and you can choose to make it bigger in the thumbnail "2: Size, position and rotation". The cursors are here to help you.